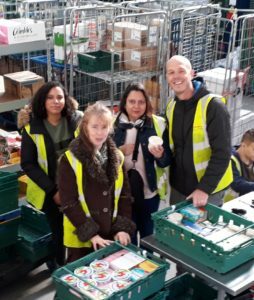 Here’s a blog from Good Food Oxford Network member Christine from Relish about a recent trip to visit SOFEA in Didcot. 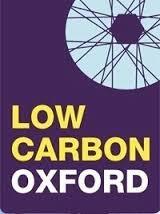 On a fresh bright October morning we gathered at Oxford station, for what felt like a mini adventure to Dicot, famously known for its ‘fat funnels’ of a power station. Yet for our group of four, what lay within this town was an enterprise waiting to be discovered! The adventure continued on our arrival, as our taxi drew into an industrial estate. We were dropped off in this mini maze of warehouses and eventually, turning a corner we spotted the SOFEA warehouse. 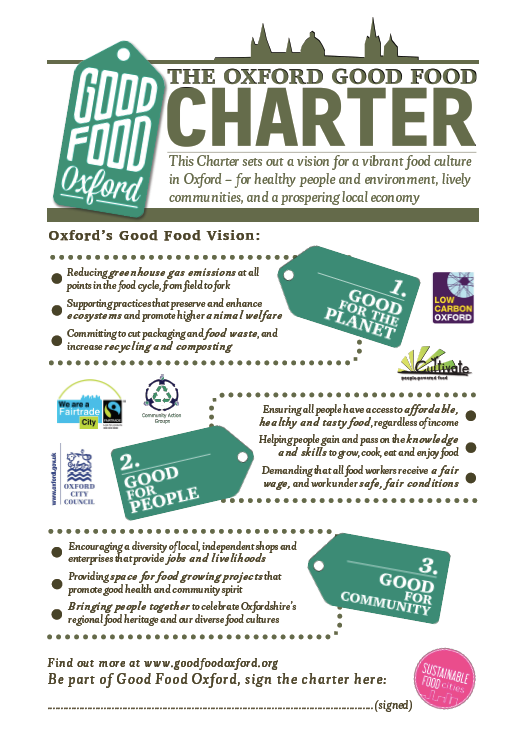 We had arrived at the depot of South Oxfordshire Food and Education Alliance (a CIC). We were warmly greeted by Richard (CEO) who gave us an interesting introduction. This included a brief and valuable history of SOFEA. It has grown out of an alternative educational centre, offering education for employment, to those who are better suited in a less formal education system. More recently they have developed direct work experience and employment (of 40 staff) by opening a surplus re-redistribution centre. This brings an empowering approach to education and a meaningful purpose to tackling food waste. 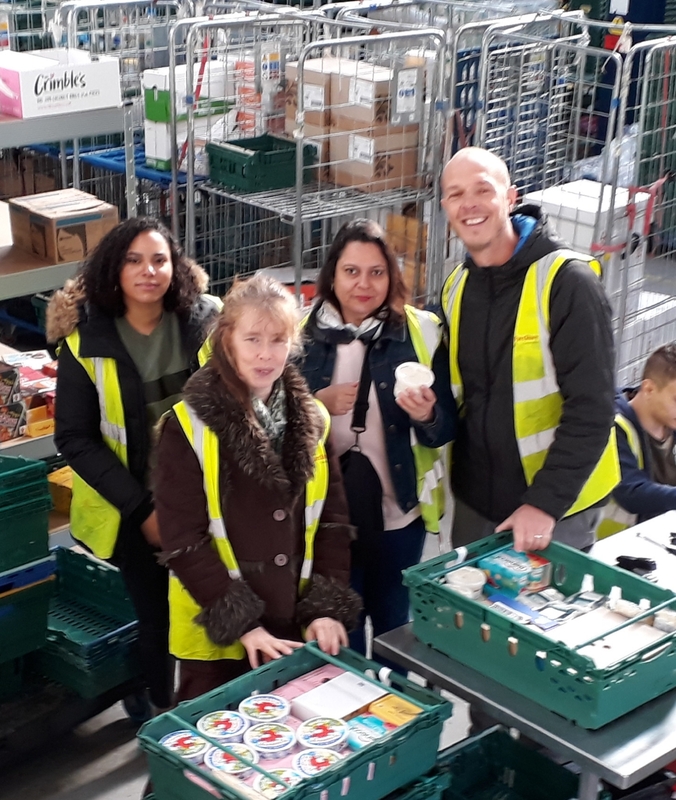 This inspiring introduction led to an opportunity for us to roll up our sleeves, grab a hi-vis vest and join the team of young people in the warehouse. It was interesting to learn about operations, how orders and deliveries are made and who benefited (a range of charities, community organisations and agencies). We budded up with a young person (member of staff) of a knowledgeable team. It was a fascinating way to learn of the logistics of this generous sized warehouse, complete with walk-in industrial fridges and chillers. 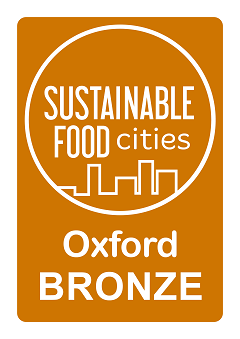 As a frequent visitor to the Oxford Food Bank, I’m familiar with the ‘food waste world’ with its random ‘waste’ products and copious amounts of perfectly mint condition fresh products. Yet here in SOFEA, with a larger warehouse, we witnessed a new scale of food waste. The very concept of these redistribution centres, as we know, is a double-edged sword, cutting food waste, while addressing food poverty or supply improvements. Yet what we witnessed in this short intensive period, was the scale of ‘waste’; perfect in condition and packaging, within sell by dates, both luxury and ‘standard’ items, of vast quantities. As we watched, the fleet of SOFEA vans were stacked high in preparation for their daily deliveries, to the network of community groups they serve. I couldn’t but reflect on this impressive yet simultaneously horrifying situation. Here we were, in 21st century Britain witnessing the development of new phenomena, not unique to Didcot but a nationwide strategy. Seb (Good Food Oxford) and I dug into a good conversation discussing this strange dichotomy of food waste. As a means of reducing supermarket waste, an entire new layer of food consumption is operating. 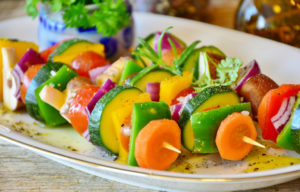 The traditional three tier system: food supplier/ producer – distributor – consumer has now evolved, in effect creating a fourth tier of waste redistribution. 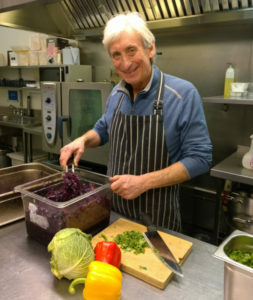 As we watched vast quantities of perfectly fresh food being assigned to organisations and charities, the benefits were starkly apparent; quality nutritious food being fed into a wide network of diverse organisations, charities and agencies. Yet in the vast warehouse of normal, random and luxury produce, a deep paradox emerged. The plentiful supply of waste food, generated by excessive supply to supermarkets, was now a relied upon supply for community sector groups. Food-waste friends and warriors this surely creates a juicy discussion, posing ethical challenges to us as consumers as we can have influence on supermarket chains’ objectives and vision. With Brexit around the corner, I’m keen to watch this space as the significance of food integrity moves further to the foreground, in public, business and government arenas.